Munising/Au Train area is known most for the spectacular natural sites. While staying in the area, our guests can enjoy miles of hiking trails along the Picture Rocks National Lake Shore, The sights on the lake shore include many natural rock formations, waterfalls and all the best that nature has to offer. The area also offers many means of seeing the spectacular sights. 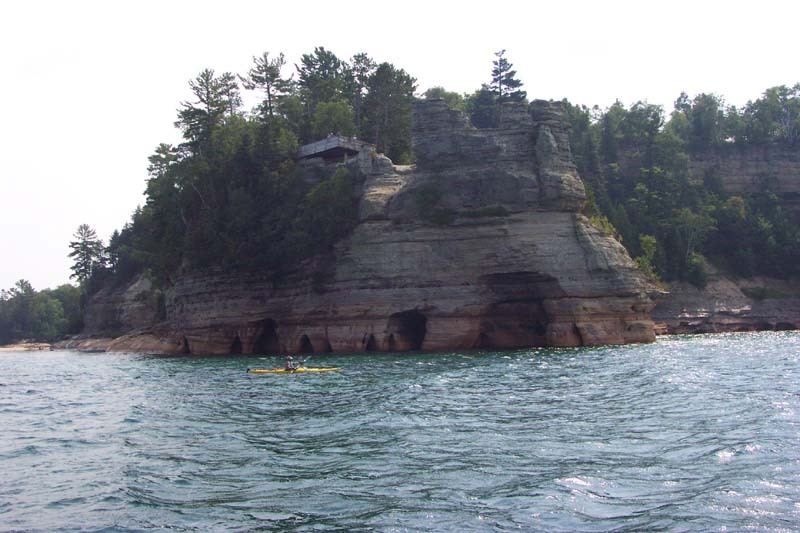 Pictured rocks boat tours is a passenger boat that goes miles down the shore line seeing the most incredible rock formations and waterfalls, or there is a kayak tour company that guides you on a up close encounter with the Lake Superior shoreline, waterfalls and beaches. There are other adventures also available such as a jet boat tour of Grand Island, and a glass bottom boat tour to view all the shipwrecks of the past. Even off the lake shore there are many short hiking trails leading to some of the most spectacular waterfalls and viewing areas.